Blogger has released new spam prevention robot. This is new from blogger for spam prevention. This is the first time blogger has released something for spam prevention. Like everything in this universe, this spam prevention robot was it's pros and cons. Pros : Good for fighting against spam. 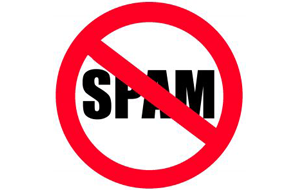 Like we said this is must for fighting against spams, Year by year spam blog's increasing. the spammers are increasing. because of this spam prevention robot is very useful. The best part of this spam prevention robot is you can submit a spam blog for spam check. If they found the blog as spam they will remove it after the review.